He nodded, his great frame waving gently. "And have you gone on any excursions in order to act your role?" The brute wondered who'd been taking their ranks seriously, and hopefully Daniel had done so. "Well, hiking to the Yeti Cave was certantly an adventure to me. I mean, I felt like I was helping the pack by scouting out to find out what was a possible threat to us." She murmured. "At least, I felt like I was doing my rank." Danny flattened her ears, as she wasn't sure anymore. The charcoal beast nodded once more, his emeralds of eyes blinking a bit. "Interesting. And what was making all that ruckus at the Yeti Cave?" He yawned, stretching. "We all guessed it was the Yeti, since it is called Yeti Cave. Besides, we came face to face with that thing and it was huge!" She exclaimed. "So what about you, I'm over here explaining myself, what do you like to do for fun?" 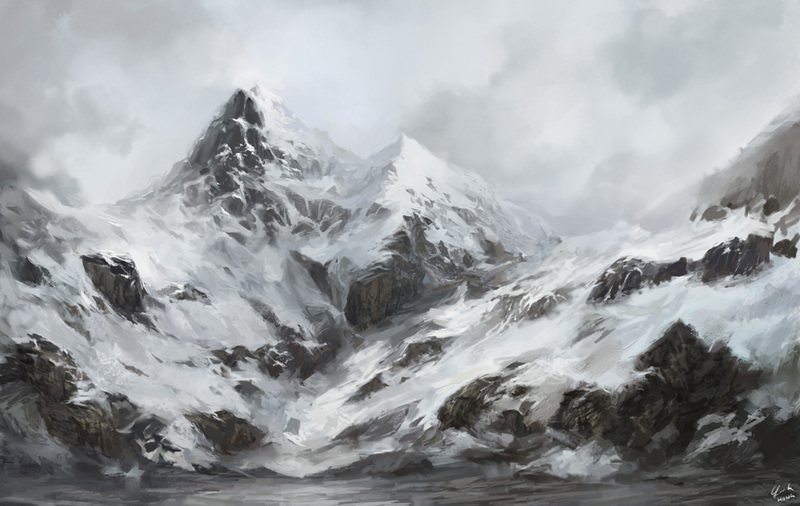 He shook his skull slowly, the thick furs atop it strewn wildly with the frozen wind. "There isn't much time for fun in this place,"[/b] he snickered, his tongue dripping with muse. His eyes, squirly and simmered, fluttered beneath winter's icy glare. "And what's that suppose to mean?" She inquired, prodding Siren in the side with a light yellow paw. "Even in the hopeless times, fun is the only thing that keeps you going." She echoed what she'd heard as a pup. "There's got to be something you do for fun." She said. The alpha shrugged, running a tongue across his whiskers again. He flicked his tail, yawning slightly before answering. "As I said, I occupy my time mostly with keeping up with the pack." Danny lifted an eyebrow. "You doing a great job doing that now." She teased. "Besides, the pack is here to help you. You don't need to watch over them all the time. Aren't that what the uh.. what are they called? Proti's I believe, are for? Helping you run the pack?" The golden coated fae asks. The lad shifted, and began to nod furiously at Daniel's statement. He remembered his last handful of Proti's. They had been diminished by the recent avalanch at the Canyard Cliffs. He dearly missed those trusted souls! "Indeed. Though, we haven't appointed any Proti's yet. Which is quite an inconvience at that." Daniel shook her head sadly. "That's a shame." She murmured. "Hopefully others who have shown potential will become a Proti. Kendrick might fit the choice but that's not my decision." She shrugged. "So, have you had Proti's before?" "I've had Proti's in the past, yes. They were all killed by the avalanche. In fact, most of the pack was deceased from the disaster. That's why we've started fresh with new foes, such as yourself." Siren woofed, his eye twinkling a bit drastically. He missed the fellows, but he had to move on. Danny nodded. "I see, that's very sad. You must miss your trusted friends vey much." She murmured sympathetically. As the large male strides through the area, he stumbled upon a couple of wolves. He stopped, almost instantly, to see who these wolves must have been. With his eyes narrowed, in a non threating way of course, he slowly lowered his body to the grounding attempt to become hidden. Even though Shin was a white canid, his dark grey markings stood out against his snowy pelt. 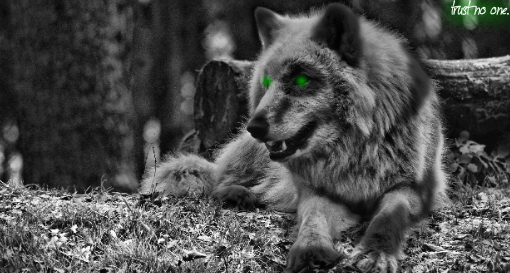 His cyan colored eyes followed the other wolves for a few brief moments before he stood up again. 'They seem nice.' he thought, but of course he had his doubts. His dark pigmented paws gracefully carried his furry body over to a wolf who seemed to be in charge (Siren), and a female who was speaking with him. "Hello," he started, his voice formal, "May I ask who is the Alpha?" his light eyes glanced between the two wolves. He didn't know how else to approach these wolves for he hadn't had any social comings with a canid in a while. He could not muster a snarl at the moment, so the brute merely flattened his receptors, whipping his frame in the direction of a strange new beast. An ivory canid, tall and marred with powdery designs, stood. With a dissmissive glance, the dog woofed gruffly at him, a gesture of question. Dani glanced at the wolf with a grin. "Hi there, I'm Daniel." She introduced herself. "Siren, is the Alpha, well Doyen." She said and tossed a look at Siren. Shin didn't take too kindly to how abrupt the other male acted, yet he kept his voice formal and polite. "I take it; you must be the one in charge?" he asked cocking his head slightly to the right. Then straightening out his cranium he heard the female speak, "Hello there, Daniel, it's a pleasure to meet you." he replied, bowing his head in respect. He listened kindly to her next statement as she mentioned the other male's name. "Siren is it?" his voice grew quieter, for no real reason honestly. He exchanged a look with the two canids before him as he awaited a response. Daniel shook her head with a laugh. "There's more than one Alpha, I mean Doyen." She said. "Though Siren can be quite a challenger sometimes." She said and threw a look through narrowed eyes. He glanced again at the petty being, a flicker of interest in his orb. "Yes, I am the Doyen. You are?" Siren ran a large tongue across his maw, his whiskers folding temporarily as the muscle raked the snowflakes from them. Shin seemed legitamate, and preserved in that. With a slow twitching of his jowl, Siren let his ear perk towards the lad. His eyes landed on Daniel as she spoke but he didn't know how to reply. 'A challenger hmm?' he thought as he pondered the possibilities of what she meant by that. Then hearing the male speak once more, Shin pivoted his ears forward as the words were released from Siren's mouth. "I'm Shin," he said lowering his head in a mere greeting. "I was wondering if I may join your pack?" not only did Shin with to join the pack but he wished to have a companion once again, for he'd been traveling alone for 5 months and during that time he has grown quite lonesome. 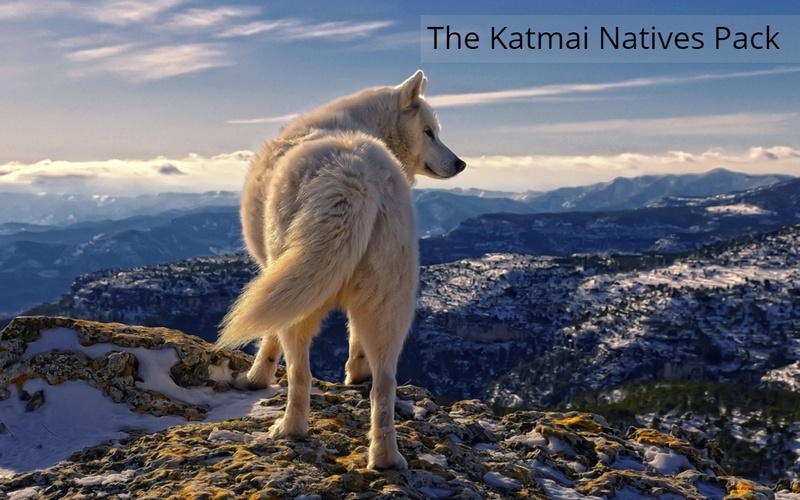 "I have lived quite a solitary life and I think joining a pack would be the best option for me." The dog nodded, stwpping foreward to pursue his welcomin ritual. "Then, welcome," he spoke, touching Shin's forehead with his wet nose. It was the Doyen's way of accepting new members into the pack. Siren then stepped back, finally calming his grimace into a smirk. He had a feeling that Shin would do the pack good, so he nodded. Shin nodded and merely flashed a smile "Thank you." he muttered bowing his head once more. Before long though, he felt the male's wet nose come in comtact with Shin's furry forehead. This action confused him ever so slightly for he'd never seen someone do so. 'Must be his way of acceptance.' he thought as he brushed his puzzlement to the side. Now another thought slipped into his mind, "As Daniel said; there's another Doyen, should I meet them?" he did not know if only on Alpha needed so show acceptance or the both of them before someone joined the pack fully. The immense wolf blinked at Shin's question before unhinging his maw to anwser. "Macy is our other Doyen. When she is available, you can meet her." He flicked his ears before rolling onto his haunches to sit. He nodded, "Alright then." he said as he mirrored Siren's action and also sat back. He didn't know what else to say, so he merely tried to make small talk. "What types of ranks are there?" he asked, cocking his head slightly to the right. Siren yawned, his tongue lolling a bit. "There are many varied ranks here. Though, Macy and I are searching for the right wolves to fufill the Proti rank."